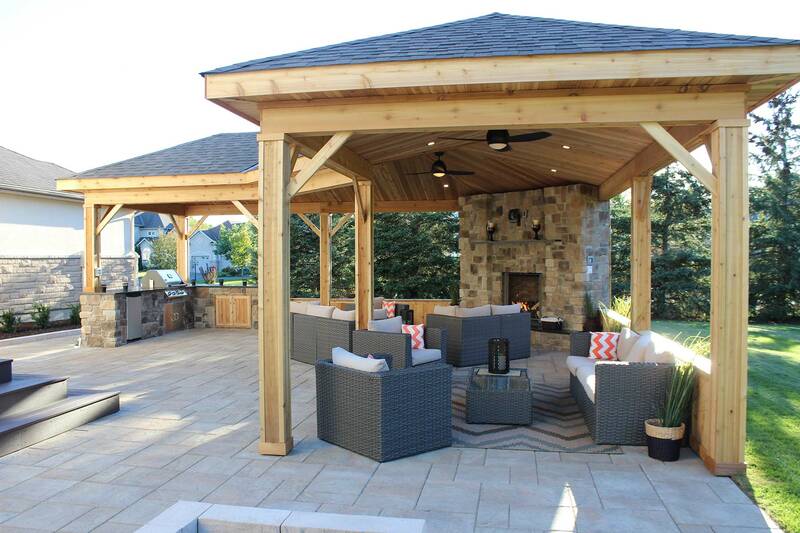 A covered retreat in your backyard is an perfect place to relax and entertain family and friends. 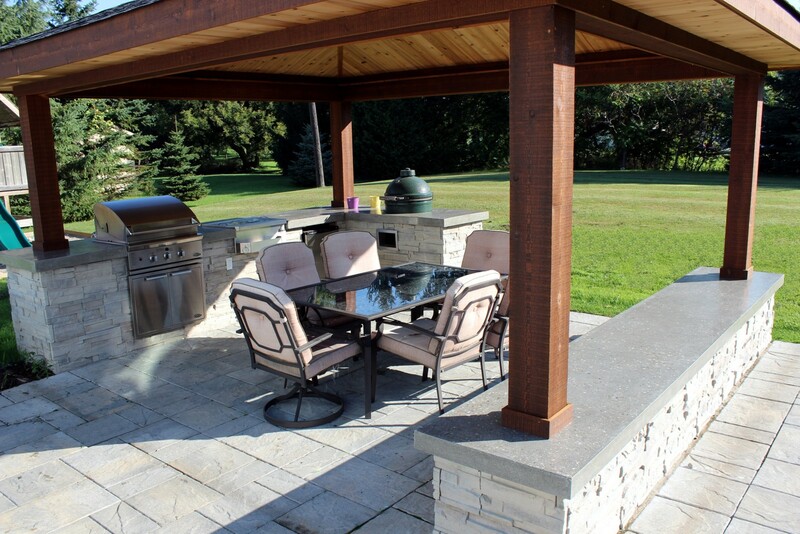 A place to sit out of sun and rain, a place to create BBQ sensations, or just relax in front of the fire place and TV. A 600 sq. 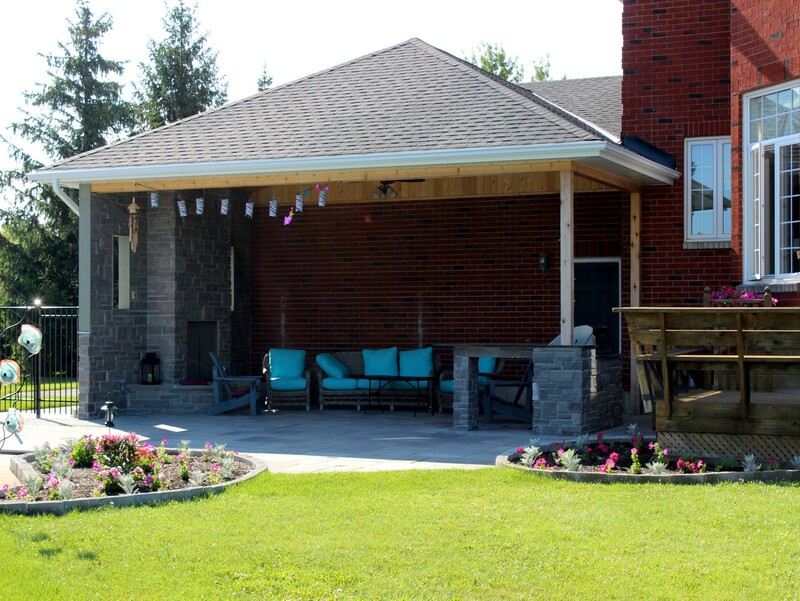 ft. cedar retreat with gas fireplace and outdoor kitchen. 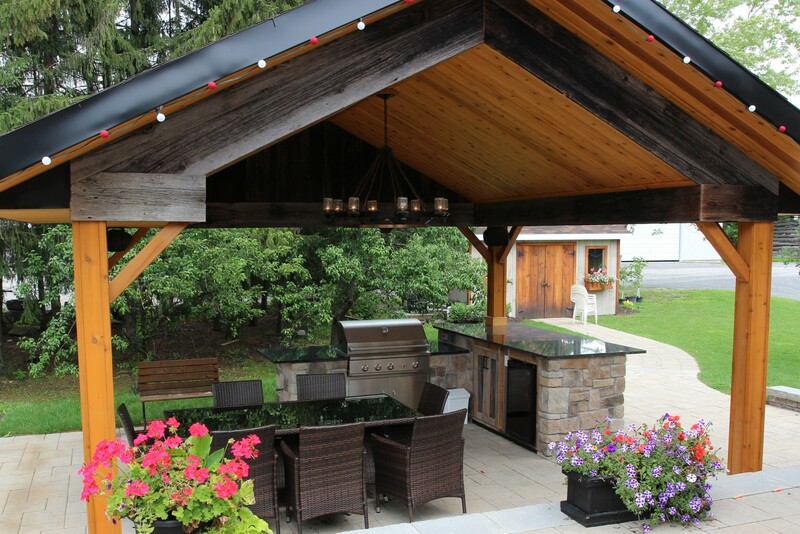 A 360 sq ft cedar and barn board retreat with kitchen and bar. A 400 sq. ft stained pressure treated posts with cedar vaulted ceiling. Polished cement counter top on sitting wall and BBQ island. A 400 sq. 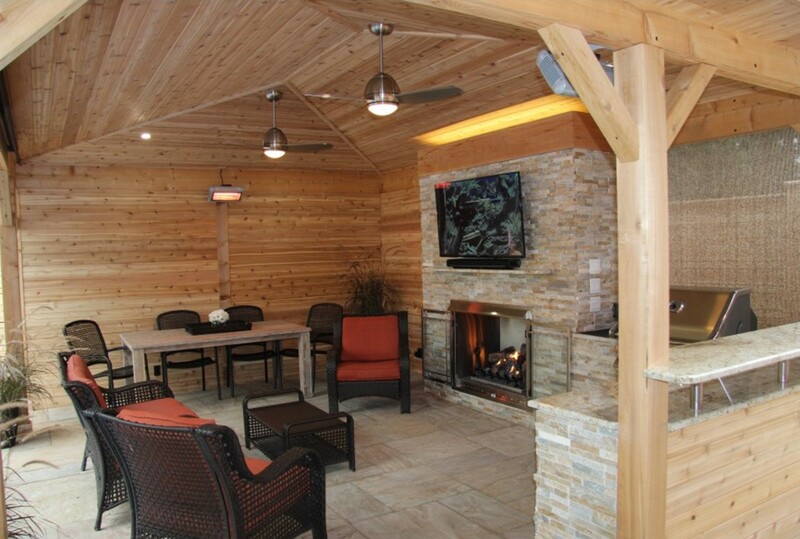 ft Lanai with natural stone outdoor kitchen and fireplace. 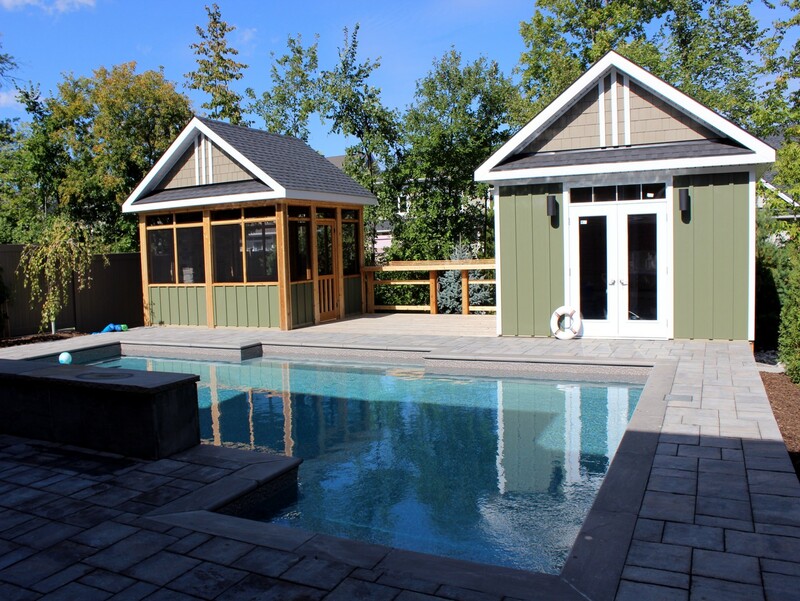 Screened in retreat and cabana each 145 sq. 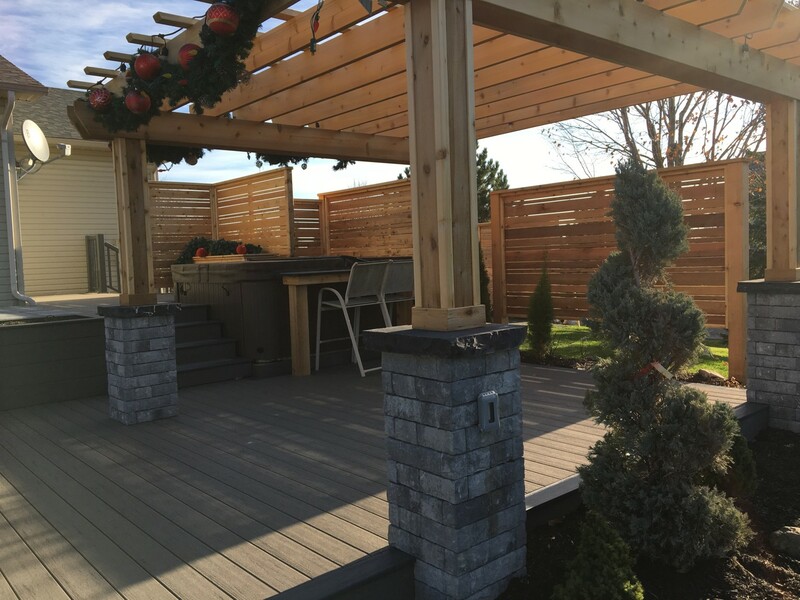 ft. finished with Fraser Board siding connected by outdoor bar. Fireplace in retreat. 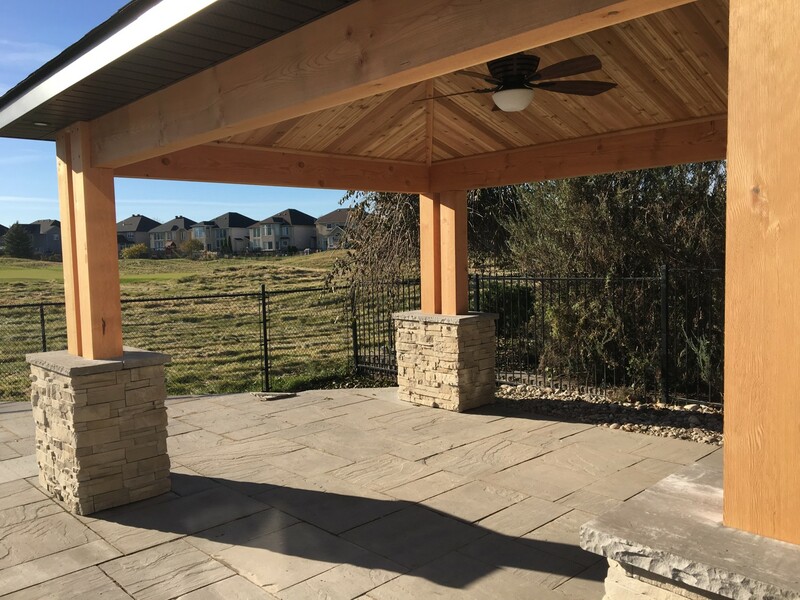 A 13′ x 13′ pergola on composite deck with stone pillars on base of posts. A 360 sq. ft cedar retreat with fireplace and kitchen. A 250 sq. ft. retreat with double posts, stone pillars and vaulted cedar ceiling.